I don’t know if it’s the fact that it’s winter and I’m tired or that I’m using up every last ounce of creativity I have to finish the projects for the book or if I’m just so excited that they finally have the second season of ‘When Calls the Heart’ on Netflix and all I want to do is watch every episode straight through. I kind of feel like I’ve been in a bit of a fog. But, I’m slowly starting to see the sun piercing through and little by little I’m finding new ideas popping into my head and today I’m sharing one of them with you! 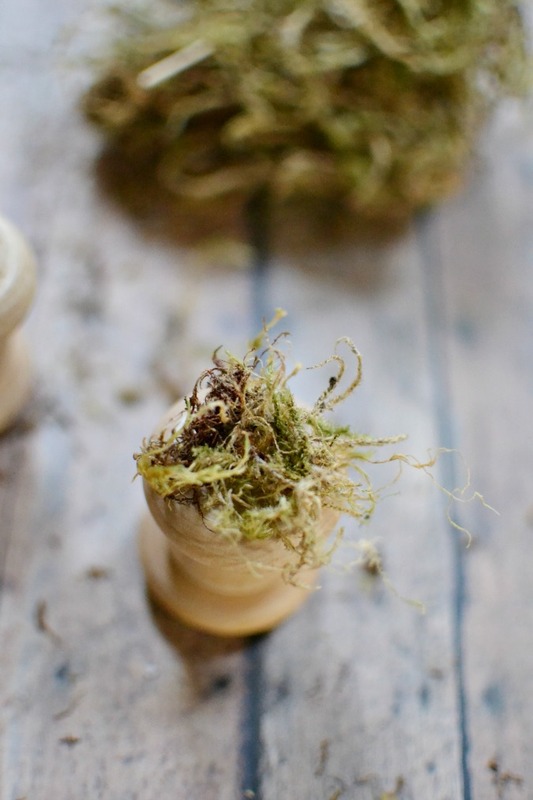 Step 1: Attach moss to the top of each wood spindle using hot glue gun. 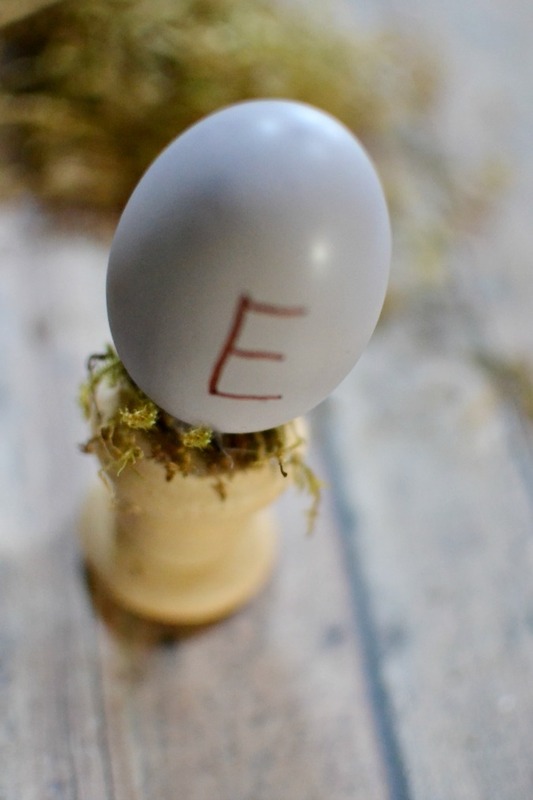 Step 2: Write out the word ‘Easter’ with a different letter on each egg and then attach them to the tops of the moss covered spool using hot glue. Step 3: Fight off your daughter who desperately wanted to put these in her room right away and convince her to let you have them long enough to take pictures. 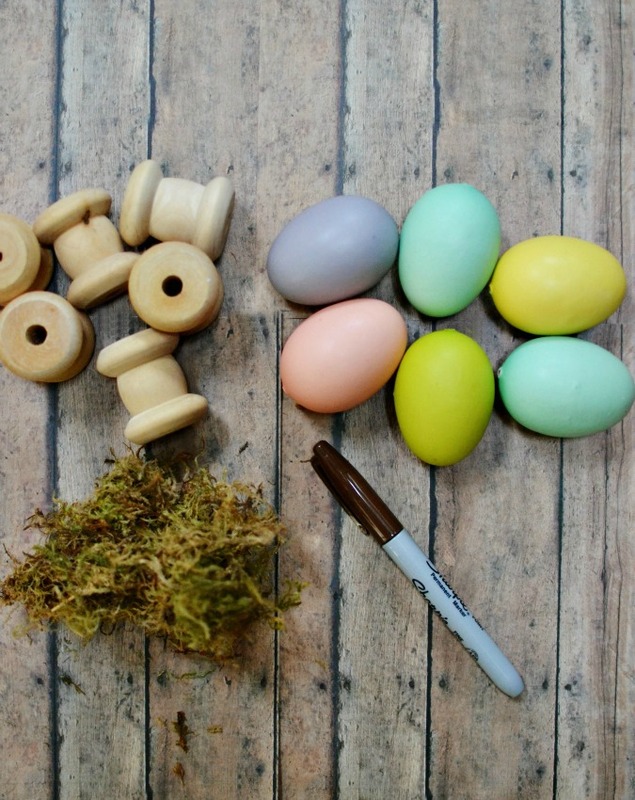 I think it’s highly symbolic that the first craft I’ve done in awhile is one for Easter. It’s a time of dead things coming back to life. Of rebirth and renewal. Of coming out of the fog and into the glorious light. And I for one am very hopeful about what lies ahead as we enter the new season. Maybe there will even be more crafts. 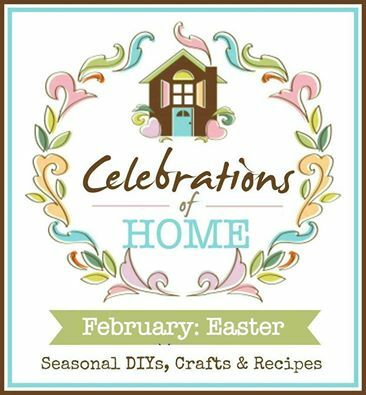 I’m so thrilled to be joining my ‘Celebrations of Home’ friends again this month so be sure to check out all of the awesome Easter ideas and inspiration! 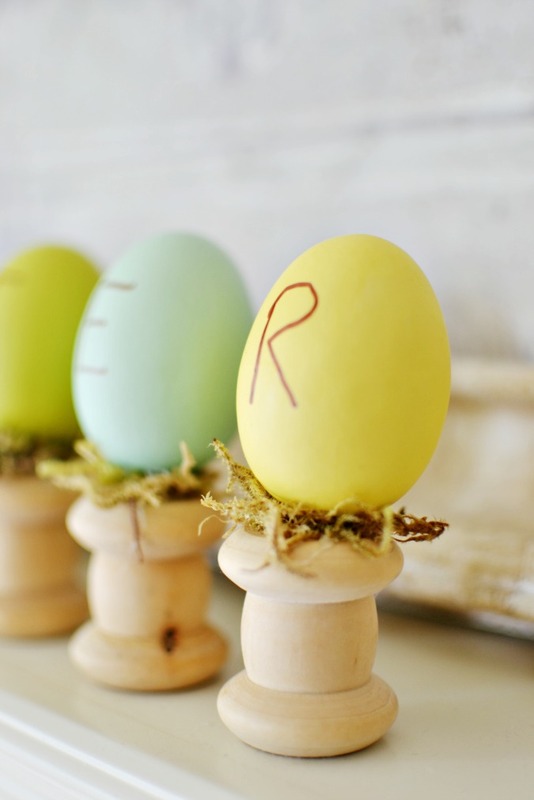 10 Comments on "Simple Easter Egg Tabletop Craft"
I’m just getting ready to take down all Of my Valentine decor but I have been looking at Easter ideas. Especially since it’s so early this year. Your craft is a winner — here’s to the end of your craft dry spell! So so cute! Love the addition of moss. I know that funky fog you describe … I’ve felt it myself before. Glad to hear you’re coming out of it! I have to ask what the background is in your first picture! Is that wallpaper or a painting or what? 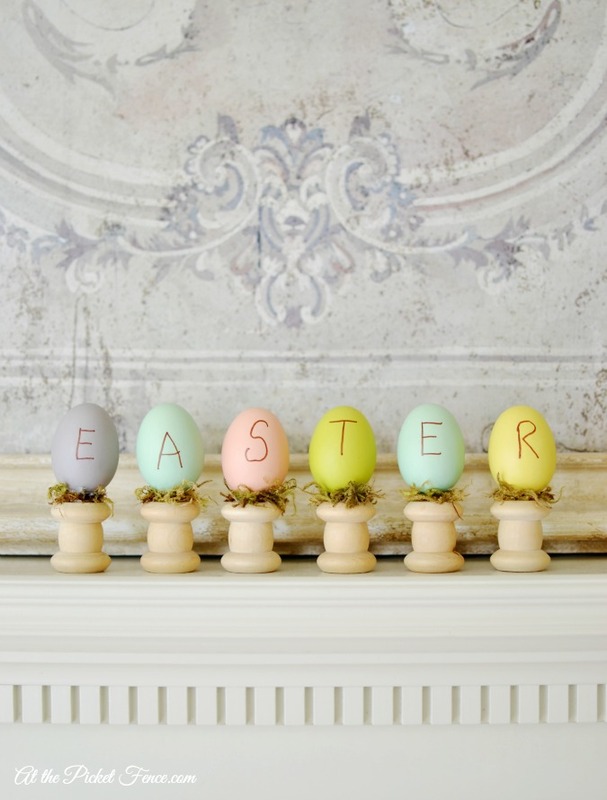 This is just my kind of craft, Vanessa – cute, quick and easy! They are just adorable. I am all about quick and simple these days. When simple can look this fabulous, I’m all for it! So adorable!